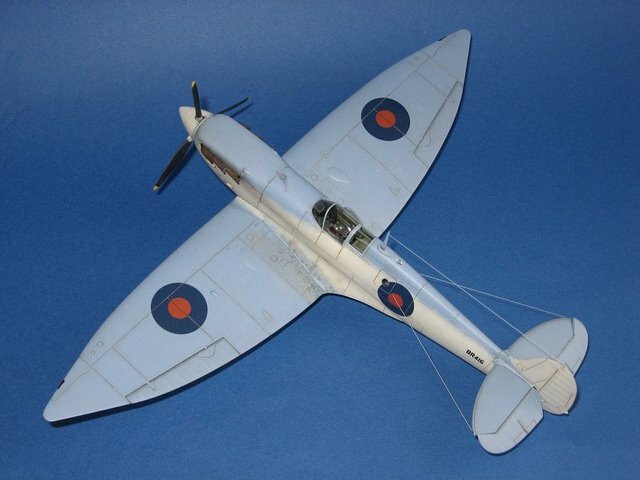 Here are a few pictures of my Spitfire PR Mk I D Trop in 1/48th scale. The kit represents a machine of No.2 PRU based at Marble Arch in North Africa in 1942. This photo-reconnaissance bird was rather unique with its oblique as well as ventral camera apertures, extended wingtips, Aboukir filter and of course the unusual paint scheme. 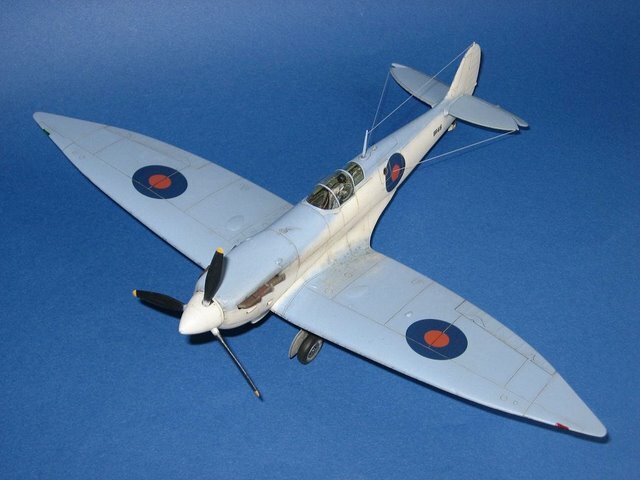 The model is based on the Tamiya Spitfire Mk. I kit. 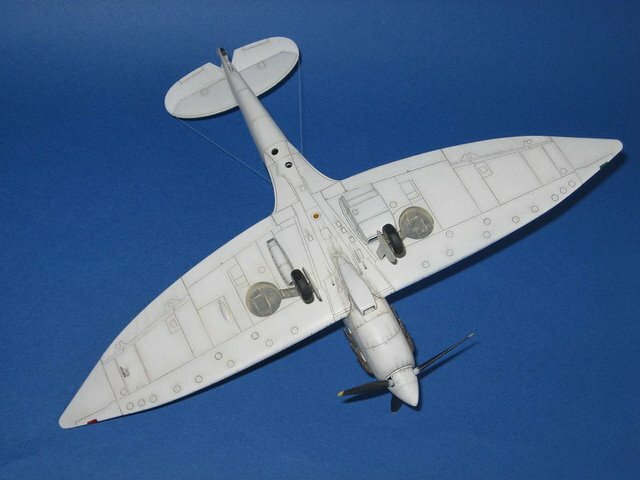 Some parts were borrowed from a Tamiya Mk Vb Trop (tropical filter) and a Hasegawa Mk VII (pointed wingtips). Fish-tail exhausts come from Ultracast. Also, Airwaves PR conversion set was used. The paint scheme was the unusual but logical for the North African theatre combination of Azure Blue over white. 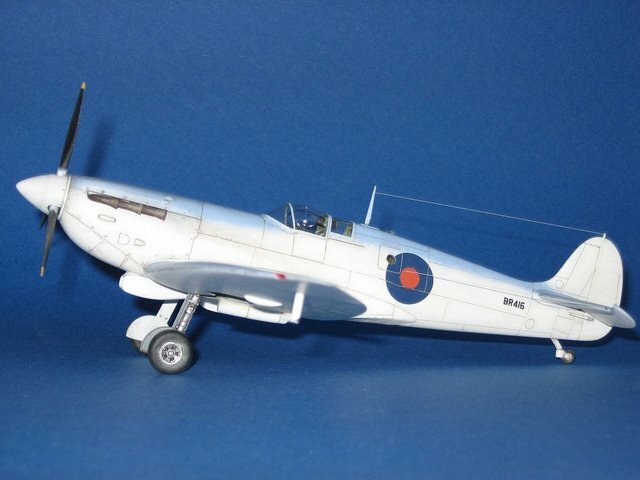 The decals came from the Model Alliance sheet Photo Reconnaissance Spitfire. 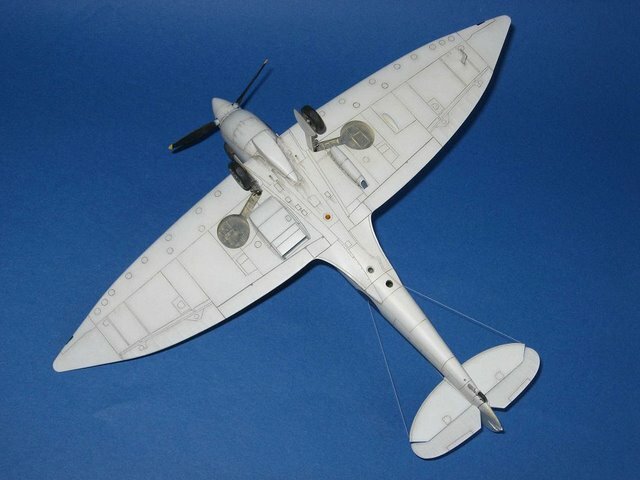 This is a great model and a welcome change from the usual dark camouflage schemes, together with the pointed wingtips. I should make it the subject of one of my next builds.- In cardboard for sure. I came across this page as I am researching BR 433, another PR Mk. IV T.
My father flew this once, in 1942 at RAF Benson. He crashed it (he walked away, the plane was ‘FACB’ and needed a week’s repairs) and only then was he asked whether he’d been trained for flying PR Spits. He was posted to another Sqdrn the next day! 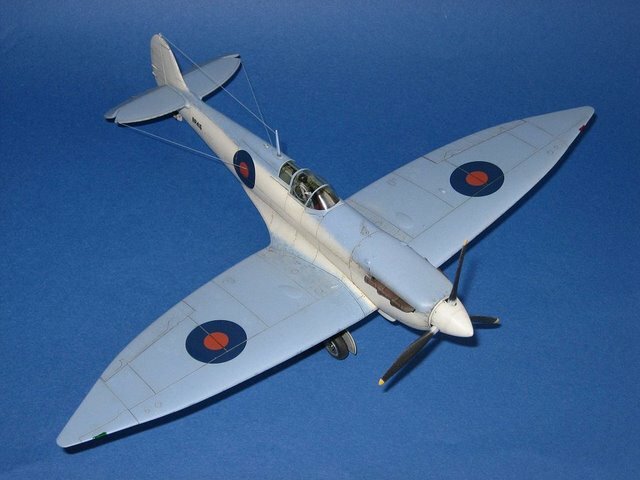 Given this briefest of involvements with PR Spitfires, I’d like to model BR 433 and am trying to find out what it would have looked like. Could you point me to any reference sources?